I bought this many years ago because it was so strange. 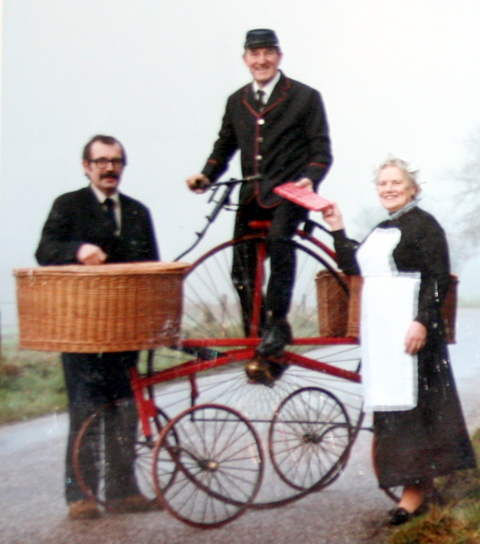 The seller explained that it was a prototype delivery tricycle for postmen: the sack fitted onto the top bracing arm of the sidecar. I assume it did not go into production as I’ve never seen another. The frame number identifies it as a Raleigh. I meant to fit a matching mudguard on the sidecar wheel, but other projects got in the way. It’s in good order, though after many years of storage it could do with new tyres if it’s to be used on the road. It is so unusual it would make an excellent museum display. 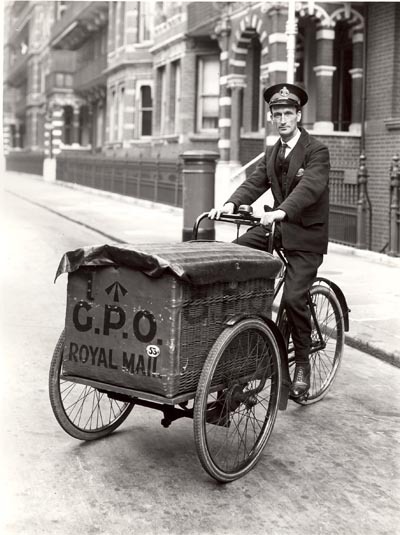 According to the Postal Heritage Trust, the first use of tricycles by the Post Office to deliver mail was in 1880. In Coventry, postmen riders were paid a weekly allowance to cover the purchase and maintenance of their machines. 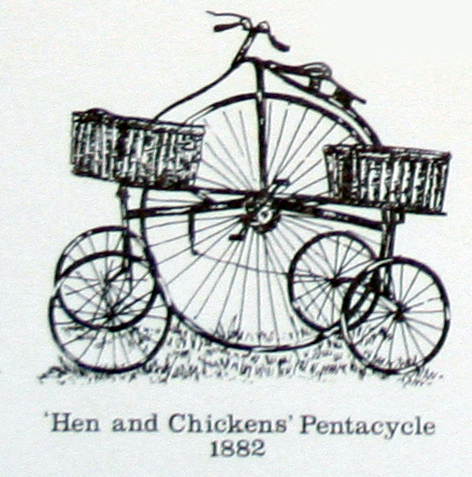 A ‘Centre-cycle’ (also known as a ‘Hen-and-Chickens Pentacycle) was used in Horsham district with some success, but apparently postmen reported too great a rate of wear on their trousers when using this machine. 1914 saw the Post Office’s first trials of motorized transport to replace carrier tricycles and bicycles. They put into service six Douglas, ten New Hudson and four Rover motorcycle combinations. A year later they added another Rover combo, plus two Autocarriers (AC) and two Warrick Motor Carriers. Below you can see one of the Royal Mail Warricks. 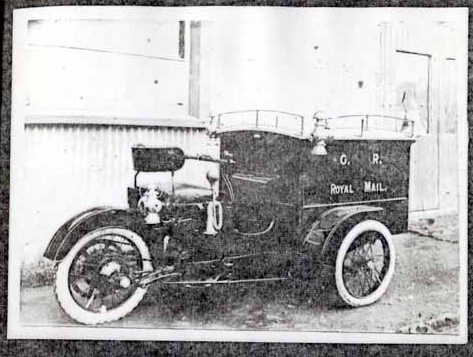 By 1920, the Post Office was regularly using four-wheelers, though tricycles were retained for local work. 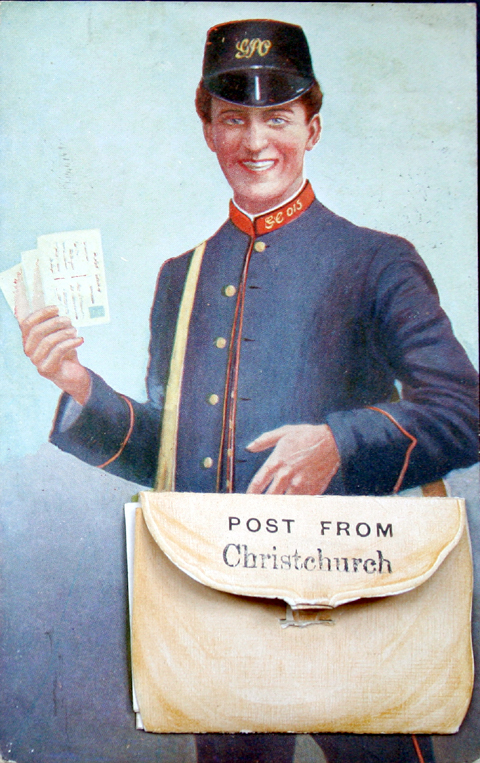 SOURCES: Thanks to Roger Street for the Christchurch postman postcard and the two pictures of Hens-and-Chickens.